pennine: It’s best to visit the Gateway Pundit to see the full range of Tweets sent in regard this issue. Myself i am wondering where Women’s Rights champion Linda Sarsour is in all of this? Shouldn’t she be over in Iran supporting her sisters in their sad plight? Or does this woman Mrs Sarsour take the line of least resistance, living in a country where she enjoys liberty and freedom of speech and expression but of which she never tires of criticizing and whining on about. Happen she should live in Iran where women really are suffering & to utter a complaint about their lot means they risk their lives. 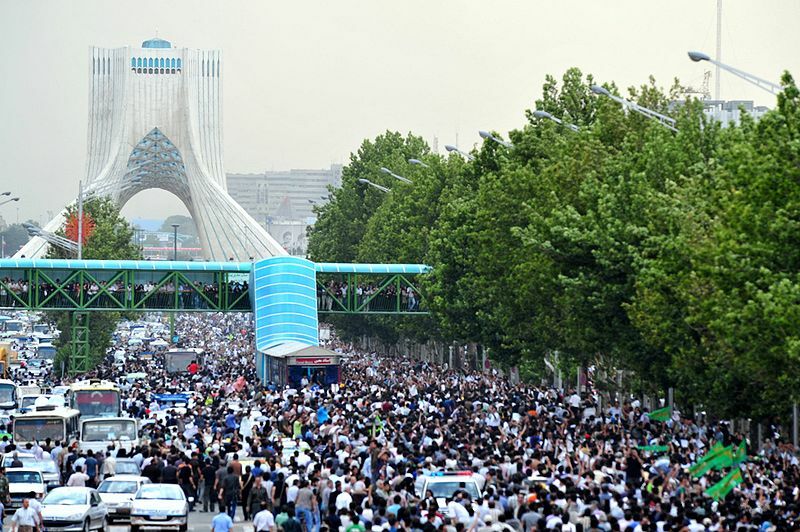 The protests quickly turned bloody when Iranian hardliners started firing on the protesters. One beautiful young protester was shot in the neck by the regime. But Obama did nothing — Instead he worked with the evil regime to quash the rebellion. This past week protesters took to the streets again in Iran to protest the evil, corrupt regime. Barack Obama, Ambassador Susan Rice and former Secretary of State John Kerry are telling President Trump to be quiet. The Iranians are furious with these latest comments from Obama and his lackeys. Today former Ambassador Susan Rice told President Trump to “be quiet” on the Iranian uprising. Iranian human rights activist Banafsheh Zand tore into Rice. 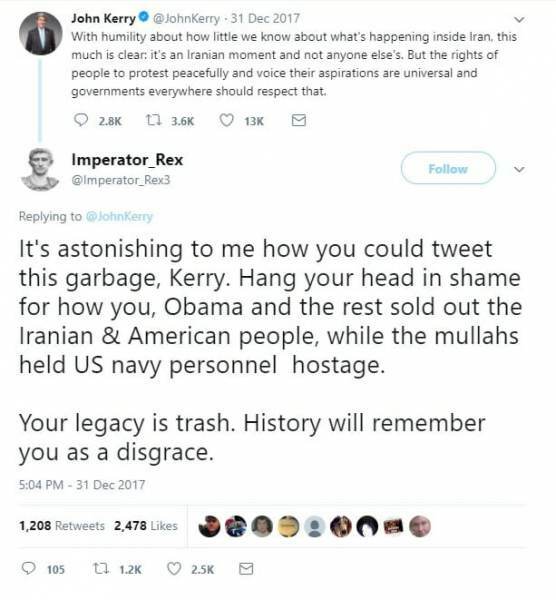 And activist Imperator Rex tore into John Kerry and Ben Rhodes after their pompous tweets on the Iranian rebellion. The Iranians have heard enough from Barack Obama and his lackeys. Obama – You be quiet!